A full-function manager's chair for the busy executive. Ergonomic cushions, side bolsters and adjustable lumbar support. Height-adjustable arms for custom comfort. Multifunction mechanism with back height adjustment and integrated lumbar control. 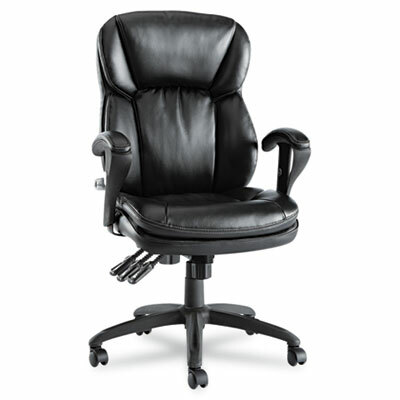 A full-function task chair for the busy executive. Luxurious soft touch leather upholstery. Ergonomic cushions, side bolsters and adjustable lumbar support. Height-adjustable arms for custom comfort. Five-star base with casters for easy mobility. Arm Height From Seat 8 1/2" to 9 3/4"